If you're looking for an everyday necklace with some sentimental value, this personalized photo gifts jewelery is the one for you. Pick your favorite photo and we'll turn it into a beautiful pendant that you'll proudly wear around your neck. Dazzling, multi-faceted crystal pendants create the perfect focal point for any image. Available as our 1" x 1" heart shaped pendant, this crystal pendant can be used as necklaces, chokers, earrings, or even small suncatchers! Each comes with a silver-tone bail for attaching to chains, ropes, wire or chokers. 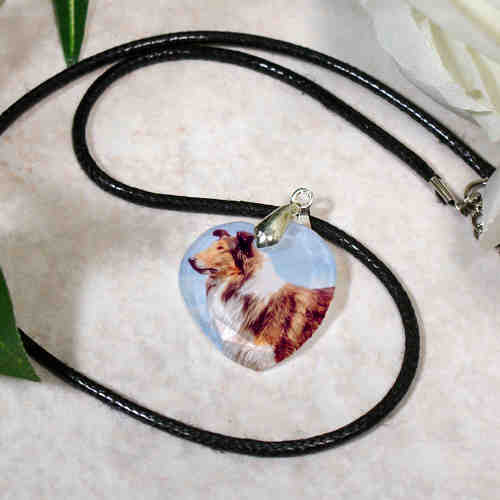 Just simply upload any photo below to begin creating your Picture Gifts Necklace. For production purposes, please enter a description that best describes the photo you are uploading. Additional Details Give this beautiful heart pendant as a personalized gift to any friend, family member, or loved one who wants a heartfelt piece of jewelry. Pick their favorite photo and turn it in to a jewelry piece they'll never want to take off. Our Picture Perfect Wedding Photo Circle Frame Necklace would make the perfect wedding gift.